There have been countless trends that have made an appearance in the annals of the hip-hop genre, whether it be the menacing gangsta persona that ruled the early nineties or the glitch-hop of the mid-2000s. None of them, however, have stood the test of time better than ‘conscious-rap’, the class of hip-hop that uses the music as a tool of social commentary and political expression. Kraze Kingston, from London, is one of today’s many artists, that is keeping hip-hop’s ‘conscious’ spirit alive. 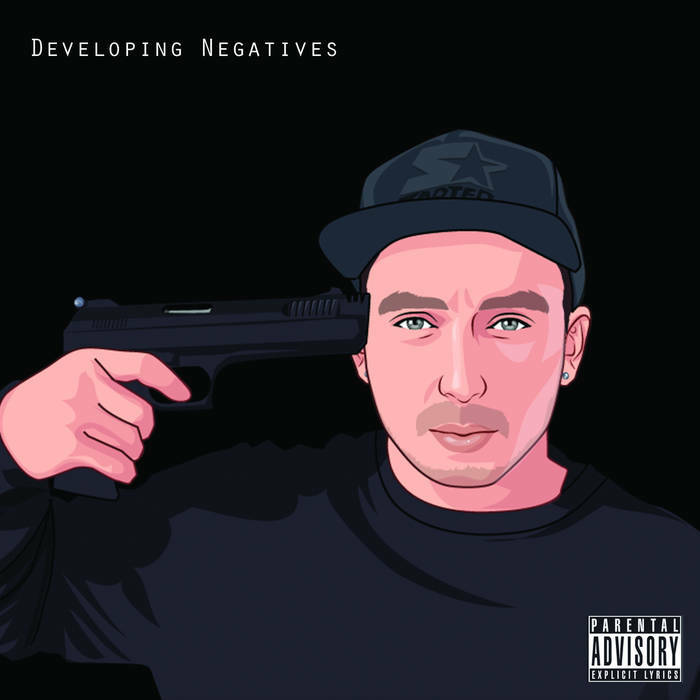 The rapper describes his album Developing Negatives on his BandCamp page with the mission statement – ‘negative stories with positive messages’. The phrase starts making sense immediately as the opening lines of the first track Terror roll in: “People heard about the terrorist attacks in France and Belgium but nobody’s mentioned Nigeria.” The album is a lens through which Kraze wishes us to view and reflect upon the problems that plague humanity, but it is also meant to be a deeply personal memoir about his life. Both the themes often intertwine to convey the message that the troubles of the world can only be solved after we solve our own. “I wish that I could change this world, but I guess the first step is to change myself.” he raps on Forever Change Remix, summing up the album’s essence. When it comes to the production, the beats on Developing Negatives are straight and simple, using somber pianos and violins, and occasionally some vocal samples. All in all, the album is a brilliantly engaging listen, and fantastic for anybody in search of food for thought.